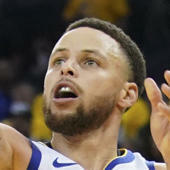 Not only did the Golden State Warriors end up losing Game 2 to the Los Angeles Clippers in heartbreaking fashion,135-131, they now have another injury and it's a significant one. A few minutes into Game 2 on Monday night, DeMarcus Cousins suffered a quad injury when he dove for a loose ball. On Tuesday, afternoon, the Warriors officially announced that Cousins had suffered a torn quad and offered an update on what will come next for the big man as he begins to work his way back from, yet, another injury. "Warriors center DeMarcus Cousins, who exited last night's Game 2 against the Los Angeles Clippers with 8:09 remaining in the first quarter, underwent an MRI exam earlier this morning in the Bay Area. The MRI confirmed that Cousins had suffered a torn left quadriceps muscle. The injury will sideline Cousins indefinitely and he will begin rehabilitation immediately. Updates on his progress will be made as appropriate." Now, we have our first update. Warriors head coach Steve Kerr told reporters on Wednesday that Cousins will not need surgery, but he's still likely out for the remainder of the playoffs. Cousins struggled in Game 1, which was his NBA playoff debut after missing the postseason during the first eight years of his career. The former All-Star center posted nine points and nine rebounds on 4-of-12 shooting from the field in just 21 minutes of playing time. Kerr had predicted that Cousins would bounce back as the series progressed, but that is obviously not in the cards anymore. Assuming this is indeed the end of the season for Cousins, it's a huge bummer after all the work he did to get back in shape and make his playoff debut.